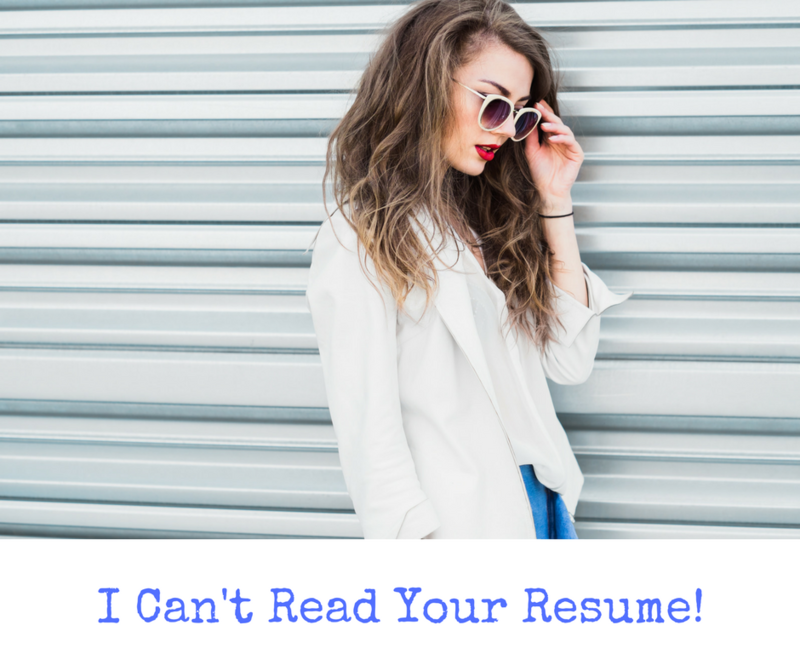 If I can't easily read your resume – and I'm actually trying to! – then don't expect a busy hiring manager or recruiter to struggle through your document. Don't make it harder for the reader so they can easily view your resume. You'll end up in the trash in 2 seconds flat. Use font size 11 or 12 on your resume. Size 10 and under starts to become dangerously small for many people to see characters on their phone or laptop. Also, large type at size 14 or 16 looks like a marketing campaign gone wrong. Stick with the classics. You want a font that is frequently used in business to ensure the reader has the font in their application or they won't be able to open your resume. The best Serif fonts are Times New Roman, Garamond, and Bookman Old Style. The best Sans Serif fonts are Arial, Helvetica, and Verdana. Set your left and right document margins to 1 inch each. It's ok to go to half an inch on the top and bottom. Use Headers and Footers to insert your name or page number. Small margins make you look desperate to dump everything into your resume. Decide to create a 2-page resume (good for professionals with 10+ years experience) to double your space or be economical with words for a 1-pager. Beware the Great Wall of Text! Your text should not look like a big blob of ink turning the entire page black. The human eye needs some white space in order to take in the content. Any designer or creative will strongly encourage you to be mindful of leaving some blank space. White space is directly related to margins, font, and size. However, the nuance is you must use your own design judgment to determine how spacing affects your document. When in doubt use less. Drop the superlatives and stick with the hard cold facts. Save your document as a PDF. Not everyone has your version of Word, Pages, or other document applications. The recipient might not be able to read it and you get trashed. Compatibility problems with margins, font, size, etc., can completely transform your resume into a car crash of a document. PDF documents make sure that your resume can be viewed exactly as you created it. It also prevents people from changing your resume without your knowledge. At the same time, always have your Word or Pages version on the ready to share with Recruiters, HR, or Hiring Managers who might request a format that can be edited. Are you frustrated with your resume? Send me an email at kelley@old.thetruthatwork.com or click here to schedule your FREE 45-minute consult to talk about how to land your dream job.